They say what a difference a day makes; it’s not only a day but a week too, last week it was cold we had wind, gales, rain and wintry showers, this week it is settled and dry with light winds, and sunshine, the weather is just like life full of ups and downs. A couple of months ago I received an email from Toni Abram who is the founder of the website ‘The Information Point for Centronuclear and Myotubular Myopathy’. The Centronuclear Myopathies are a family of rare inherited neuromuscular diseases, which can affect children and adults, and causes muscle deterioration and weakness affecting breathing, feeding and movement making simple everyday tasks such as walking up stairs, rising from a sitting position unaided, lifting and carrying and opening bottles difficult and often impossible. After Toni and her father were diagnosed with the condition in 1998, she soon realised that it was relatively unknown and information was hard to find so Toni set up a website to help others in their search for information and to bring those with the condition together, whatever their age, whatever form of the condition they have and wherever they may be in the world; and to create awareness of this rare condition. Bright, vibrant Sunflowers are featured on the website and were chosen for the cheery and positive outlook they convey they can grow to such dizzy heights, as if they are on a mission to touch the sky and nothing can hold them back, I cannot think of a more appropriate flower to use. 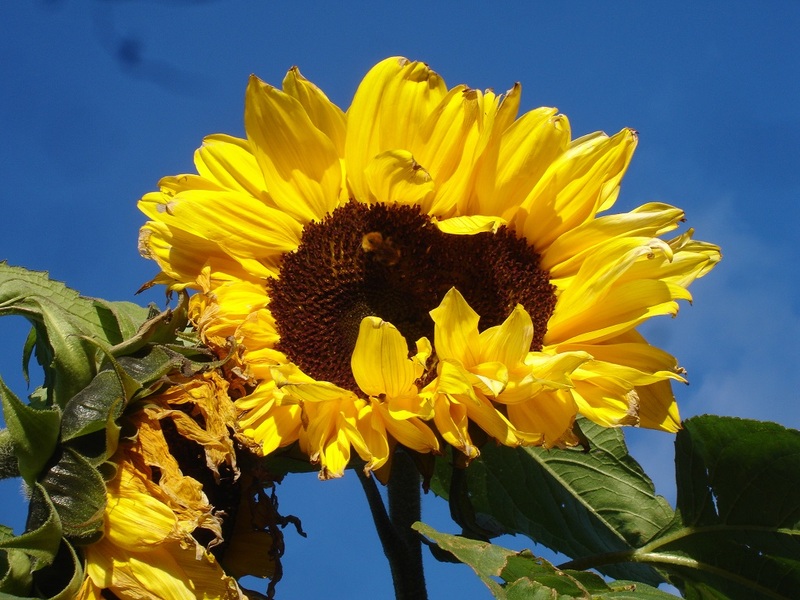 The Sunflowers were the inspiration for their now annual Big Sunflower Project, which was started in 2011, and raises awareness of centronuclear and myotubular myopathy. The aim of the project is to get as many people as possible growing sunflowers, participants can obtain their own seeds or request seeds from The Information Point by emailing their name and address with the subject line ‘The Big Sunflower Project’, you can request seeds for yourself or on behalf of a group in return just send them photographs of your sunflowers, either as they grow or when they are in full bloom, which will then be displayed on their website, newsletters and on social media. Sunflowers are easy to germinate and grow and a favourite with all children so why not grow some this year, they are stunning to look at and will brighten up any corner of your garden, as well as taking part in The Big Sunflower Project by growing them you will also be providing a good source of nectar and pollen for bees, butterflies, moths, hoverflies and other insects and the seeds will be enjoyed by the birds in Autumn/Winter. 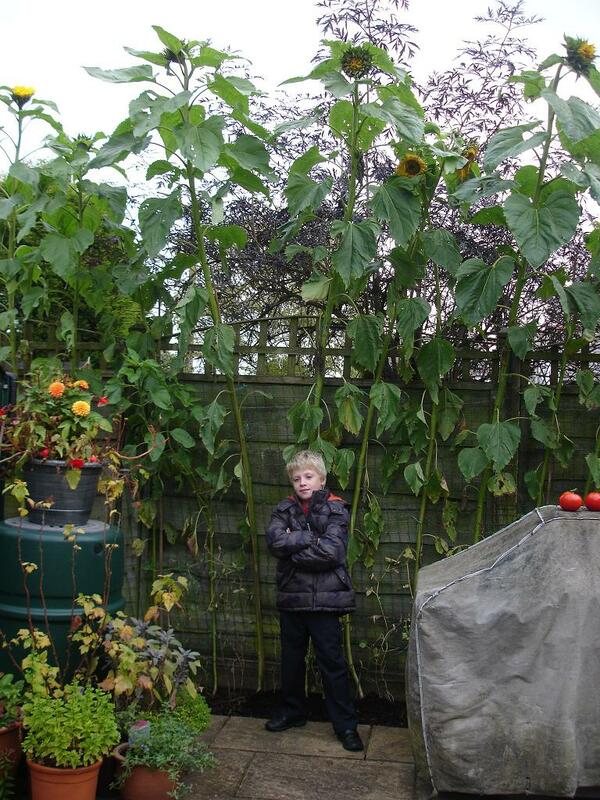 I grow Sunflowers each year and will be sowing my seeds at the end of April/early May, here is a picture of Thomas with some giant ones. 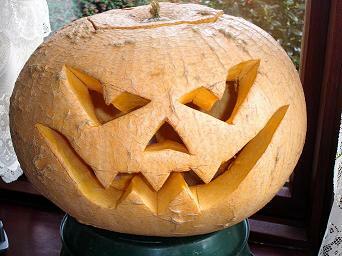 For more information on ‘How to grow Giant Sunflowers’ click here. 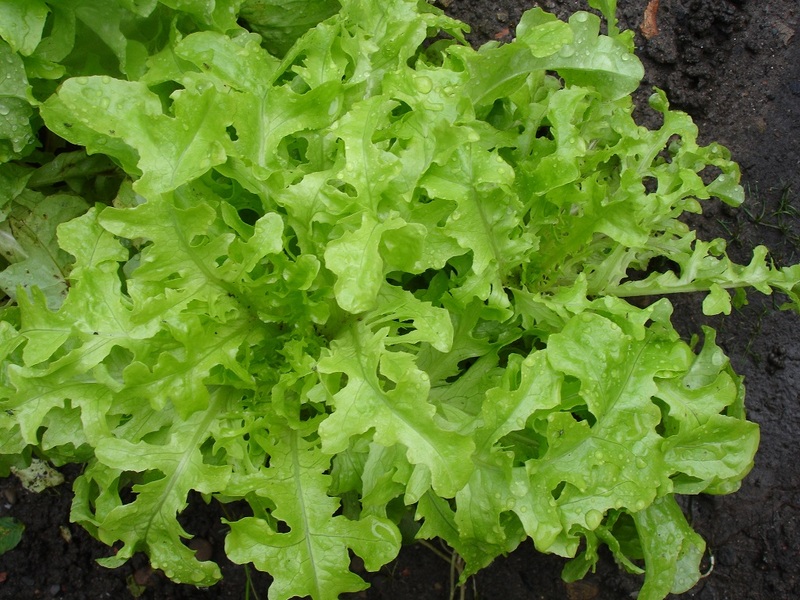 Following our Easter break it is now all about pots and propagators. 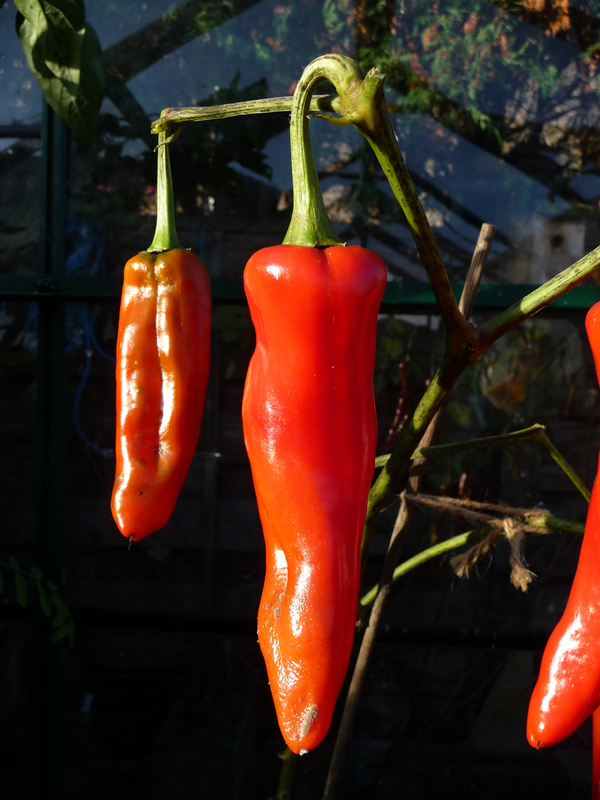 I tend to sow most of my seeds in April with the exception of Chilli and Sweet peppers which are quite slow to grow and germinate, these were sown in early March and are now ready to be potted up individually into small pots (click here for a guide to growing Chilli Peppers). Tomatoes – a must, packed full of flavour and goodness they are so healthy, I usually grow different varieties, cherry/mini plum tomato (perfect for lunch boxes and for putting on skewers on the BBQ) , medium size tomato (general use), large fleshy tomato (for soups/chutneys) and hanging basket tomatoes (handy by the back door, they look great too). 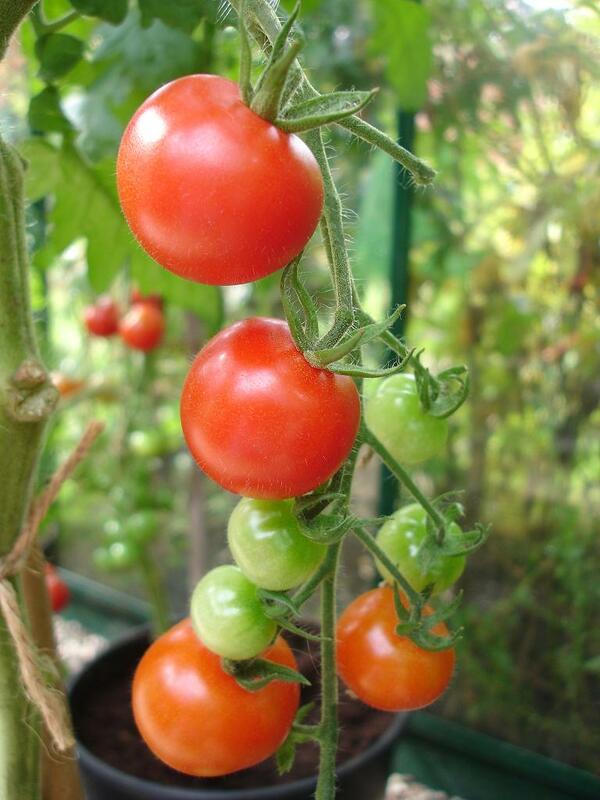 Click here for a guide to growing tomatoes. 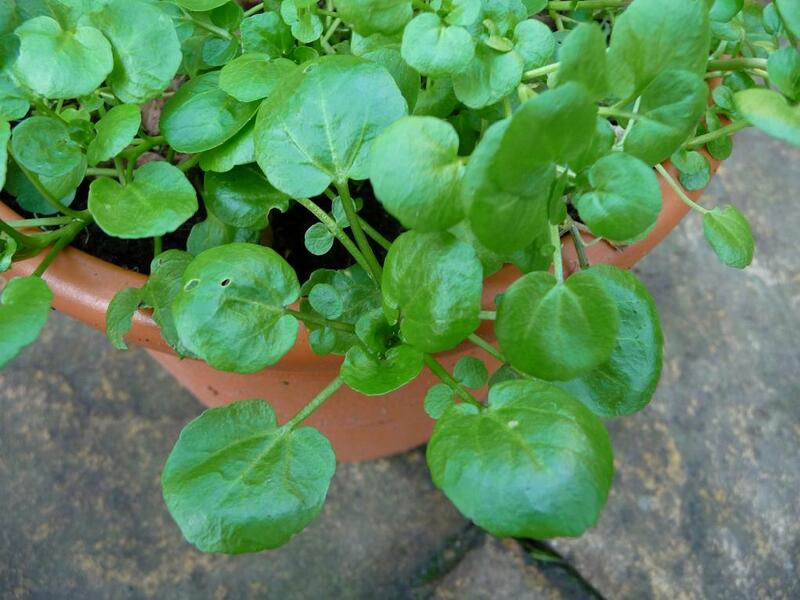 Watercress – easy to grow and doesn’t need running water it has a lovely peppery flavour great in salads or if you grow plenty Watercress Soup, its rich in Vitamin C (click here for a guide to growing Watercress). Cosmos – one of my favourite flowers and loved by Bees and Insects, planted in groups they make a stunning display and can be cut to enjoy indoors. Many of the above can be sown directly outside but they simply will not grow if it is too cold, I wouldn’t be without my propagators and would recommend them to anyone, the constant gentle temperature really does make a difference to the germination rate of your seeds. Click here to learn more about growing in propagators. 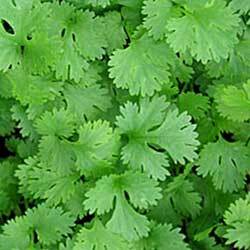 Growing your plants from seed is easy and very economical and to many children it is pure magic! 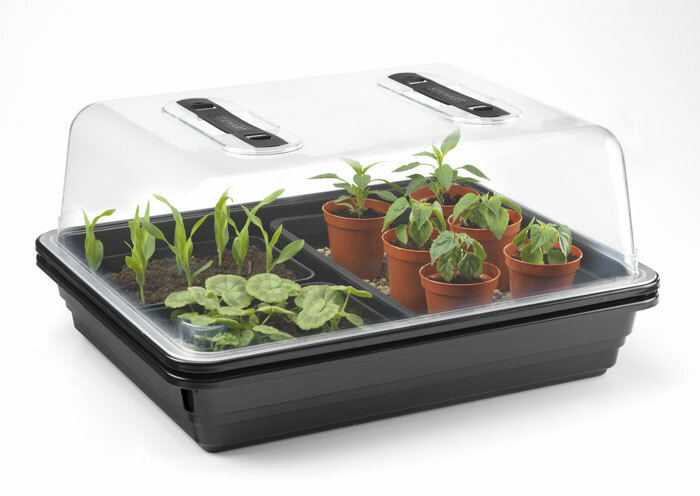 Why not enter our free competitions for a chance to win your own propagator (click here for full details) or one for your School (click here for full details) hurry, the closing date for both competitions is Wednesday 30th April.